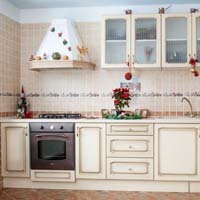 Kitchen wall tiles is a perfect idea to break the visual monotony of the kitchen. In fact, the wall tiles add an upscale feel while cooking. We have an extensive collection of the kitchen wall tiles at MyTyles. One can choose from the wide range of stylish, superior quality and beautifully created tiles. An individual can create any style they want in their kitchen with our different pattern tiles. In fact, you have the choice to pick up from the colorful design tiles to simple stylish plain colors. There is a wide range of the tiles at MyTyles to create the desirable kitchen look.